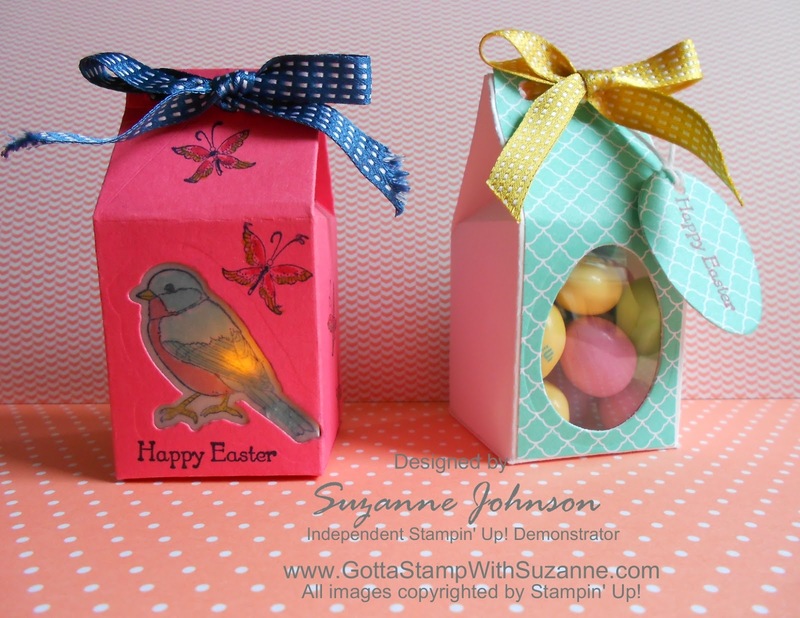 GOTTA STAMP WITH SUZANNE JOHNSON: READY FOR A LITTLE SOMETHING IN 3D? 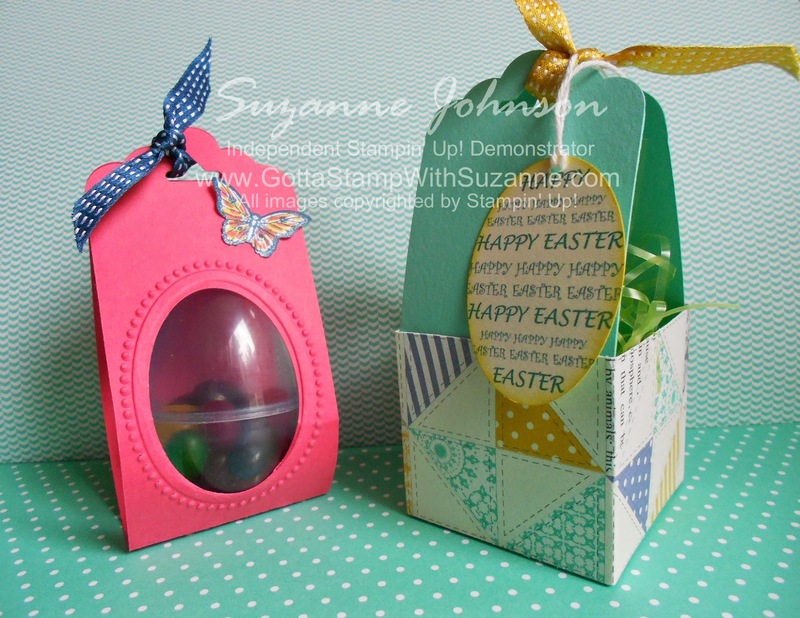 Here are some Easter treat projects you can choose to make at the It's So In Colorful! stampcamp this month! First up are two made with the Mini Milk Carton die and the Big Shot. The "Backyard Basics" bird is stamped on vellum cardstock, colored on the back side with markers, and placed behind the cut out done with the coordinating framelit. The little butterfly is from "Fabulous You" and the sentiment from "Teeny Tiny Wishes." Do you see the light inside? the camera didn't capture it too well because it is a flickering LED tealight. This could also be filled with treats instead, like the carton on the right. The carton on the right has a window cut with the egg framelit from "Backyard Basics" and a window sheet keeps the M&Ms from falling out. The egg cut out became the tag, which already had the DSP attached to one side. Both have In Color Stitched Ribbon ties on the tops. Bird box: 2.5 pts., Tealight 1 pt. The next two treat holders are made using the new Scallop Top Tag Punch in the Occasions Catalog. I C.A.S.E.d these from ones made by several other demos. The one on the left is designed to hold a plastic egg. 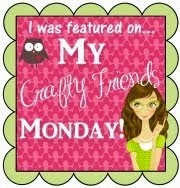 I embellished it with a stamped butterfly from "Papillon Potpourri," punched with the Bitty Butterfly Punch. On the left is a little basket. 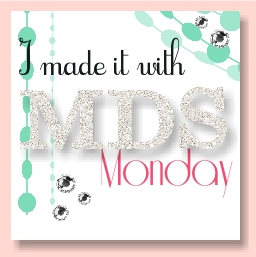 I used Afternoon Picnic DSP, and created the tag with MDS (punched with the Wide Oval Punch). CARDS THAT ARE GREAT FOR GUYS, MORE FOR EASTER, JEWELRY, AND QUICK CARDS! CAN'T MAKE IT ON APRIL 12TH? CONTACT ME ABOUT ALTERNATE DATES/TIMES!